Whether you’re a lover of DIY arts and crafts, are looking for a couple of interactive ways to spend quality time with the kids of the family or are brainstorming activities for pre-schoolers, laminators are the perfect partners in crime. From preserving precious photographs to churning out stickers and gift-tags, there are plenty of diverse ways you can put a laminator to use in your crafts. Here are our picks for the best laminators you might want to give a go to get your creative juices flowing. An innovative, incredibly versatile contraption, this creative station is a craft-lover’s dream come true. As a hand-crank operated device, you don’t need to worry about batteries or plugging it in for it to work. You get to make as many stickers, magnets or laminated cards and photos as you like, simply feeding your paper (or other materials) down the paper tray while turning the hand-crank, letting the finished product slip out the other side. The station comes with multiple cartridges you can insert and switch around with absolute ease, depending on your needs. A permanent adhesive cartridge turns anything from paper to flat wooden and metal embellishments, card, craft foam, fabric and so on into stickers you can simply peel off the adhesive tape to use, while magnet cartridges let you make your own little magnetic trinkets. The laminate cartridge also lets you encase photographs, doodles, cards or other crafts items in a clear, protective casing, which you can use in conjunction with other cartridges to turn them into magnets or stickers. A handy little cutter arm attached to the station lets you neatly slice up the adhesive tape as you roll it out, the station itself ensuring the permanent adhesive goes edge to edge and making sure you get perfectly flat pieces of card or paper, even when it comes to materials prone to getting uneven or wrinkled, like sheets of watercolor. Be it scrapbooking, making home-made cards or personalized trinkets, this no-fuss creative station is sure to feed your crafting obsession. While certainly not as versatile as the Star Pick, this device does the job it promises to do and it does it well. 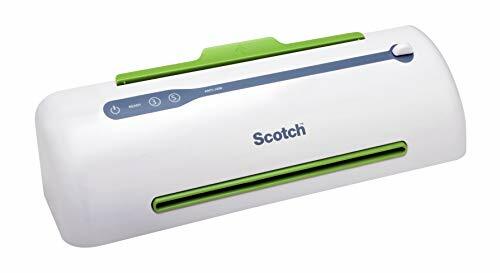 With a flash laminating speed of 12 inches a minute, this thermal laminator comes with 3 adjustable temperature options to allow for the most precise laminating function, with a cold laminating feature for laminating items which might be prone to heat damage. 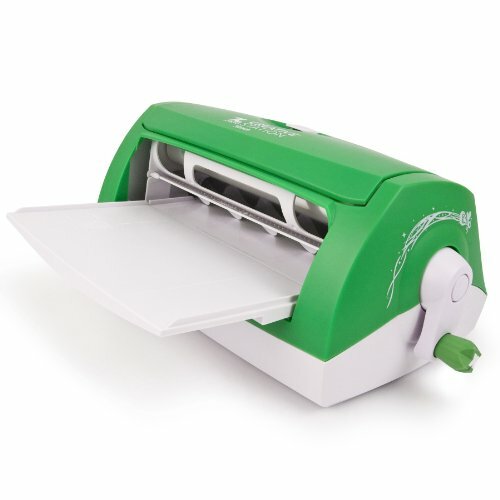 Also known as a pouch laminator, this device can laminate sheets of paper, photographs or cards up to 9.5 inches wide, warming up in just 120 seconds (considerably faster than regular laminators) to apply just the right degree of heat and pressure to evenly laminate anything from office documents to menu or recipe cards, craft items or photographs. A corner punch feature lets you neatly clamp down the edges of your laminated item for a crisp, precise result, while a reverse lever makes it perfectly simple to clear out any paper jams. An upgraded version of the Star Pick, one of the best attributes of this creative station is that it lets you use both the 9-inch cartridges included with this device, as well as the 5 inch cartridges you may have lying around from the older version, or might find cheaper to invest in. You can fix up cartridges to combine laminate and magnet, laminate and adhesive, or double-side laminate features into the station, with two adhesive options for both permanent and repositionable adhesives. Like its predecessor, it is a hand-operated device not reliant on battery or electricity, the sleek design letting you slip anything from flat metal trinkets, strips of fabric or card paper through the input tray to turn it into a magnet or sticker to use for your craft projects. A paper cutter lets you slice off the section of the tape you require with ease, offering incredibly precise, edge to edge lamination. 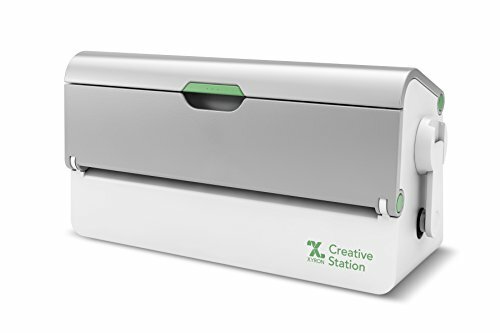 A compact, easily portable thermal printer perfect to take along into the classroom or for crafts projects around the home, this laminator has two adjustable temperature settings to offer the perfect laminated finish for pouches of different thickness. Suitable for laminating anything from documents to business cards to gift and craft tags and bookmarks, the device accommodates pouches of thickness 3 to 5 millimeters, up to 9 inches wide. Elements such as a foldable paper tray and built-in storage makes this compact device simple to store away when not in use. With a warm-up time of 5 minutes, this laminator comes with an in-built jam-proof mechanism that ensures you don’t accidentally end up damaging the piece of artwork or photograph you wish to encase in a protective film. It also comes with an automatic shut-off feature that switches the device off after an hour of no use, to help save energy. If you’re looking for heavy-duty lamination – for example to make a stack of place-tags for a fancy dinner party, menu or recipe cards that will last longer and endure spills and the general mess-prone environment of the kitchen, or customized playing or study cards for your kids – a thermal laminator is the way to go. Thermal laminators are amongst the easiest to use for anyone not familiar with the job of laminating, and are comparatively much more affordable than other options. These printers combine heat and pressure to encase your material of choice into a clear, even and hardy plastic casing, which can then be customized as you please to make bookmarks, photo-cards and other trinkets. For the best results, we recommend choosing a thermal laminator with adjustable temperature options – thicker laminate pouches require higher temperatures to ensure a thorough, sturdily laminated output, while cooler temperatures are preferable for materials which are heat-sensitive. Meanwhile, if you’re looking for something that lets you be more versatile and creative with your crafts, a multipurpose creative station might be the right choice for you. While not offering the same thick and enduring degrees of lamination a thermal printer can achieve, hand-operated laminators can still give your crafts a decent amount of lamination and protection so long as you aren’t planning to use them somewhere they’ll undergo a lot of heavy wear, such as outdoor signs which have to withstand the weather. Such devices have the advantage of being able to combine other functionalities, too. For instance, some stations let you use the same pressure-application method to meld materials such as cloth and card to adhesive tape, to create stickers with the ease of a hand-crank, or magnets using the same concept.